It is no secret the wood flooring is a prime upgrade option for homeowners in every sense. Wood flooring is a much more stylish option than carpet or linoleum. There are numerous choices for the colour, texture, and pattern and with that you have the power to create the exact type of style you want in your home. When it comes to which type of wood flooring to put in your home, the choice comes down to engineered flooring or hardwood flooring. Both can provide you with different benefits, but the choice is ultimately up to you, based on your lifestyle, needs, and budget. The pinnacle of wood flooring comes at a hefty price with solid wood flooring. Solid wood flooring is created from whole pieces of wood cut to floor slat size and installed with a coat of varnish or finishing on top. 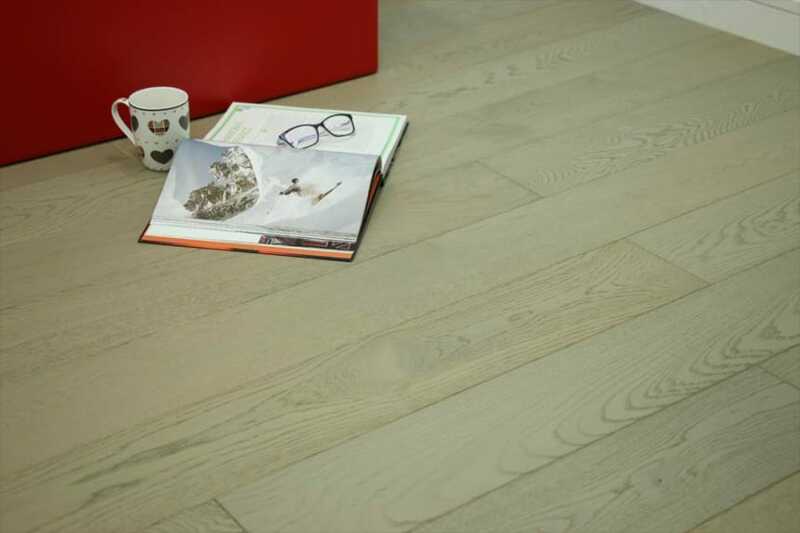 Solid wood flooring is expensive and you are limited in style choices based on natural grain and finishes. This hardwood flooring is the obvious choice for restoring older homes and for luxury remodels, but may not be practical for a young couple’s starter home. Engineered wood flooring is a composite material made up of small pieces of wood pressed together to make a wood flooring slat. These slats are generally thinner and cheaper to produce (meaning cheaper to buy) than traditional wood flooring. Since they are created, rather than cut from a tree, engineered wood has many more options for design than traditional hardwood. 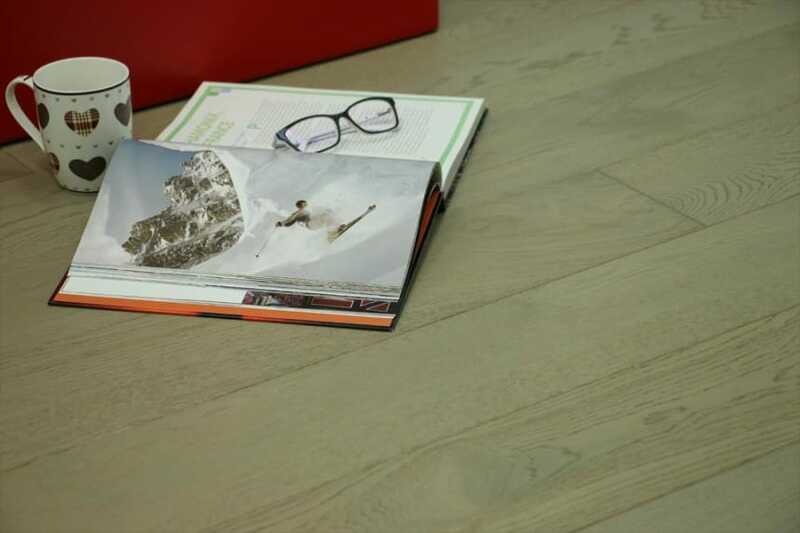 You can find engineered wood in just about any colour and any texture you can think of. One of the many benefits to choosing created wood flooring is the consistency in every piece. Many people are choosing to purchase engineered flooring rather than hard wood because they want the uniqueness. With the surge in modern styled homes, you are not going to find black solid wood flooring for example. Engineered flooring is also better on the logistical side. With engineered wood flooring, installation is much easier and quicker. No one wants to spend more time and money than they have to on a home improvement project and solid wood flooring can take a long time, as significant delays can be caused by even the slightest mistake. 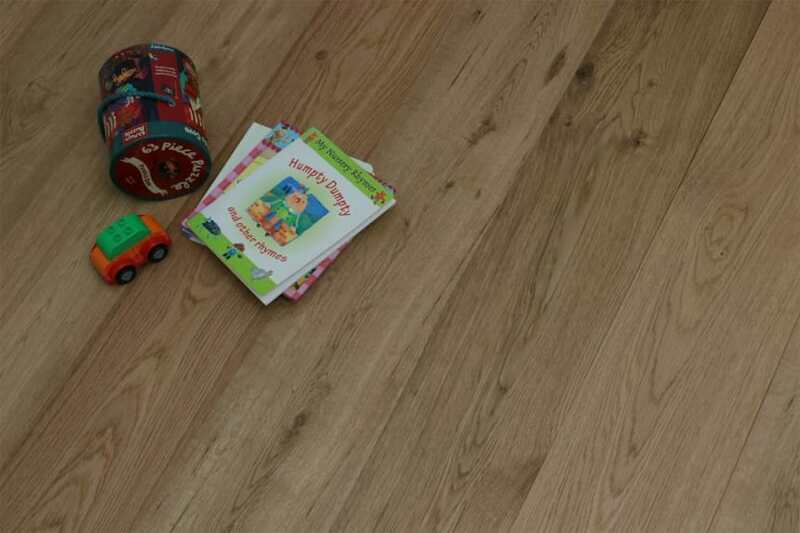 Engineered wood flooring is not only easier to install, but it is also much easier to clean and maintain. Solid wood flooring requires special care and attention as not to hurt the wood or damage it over time. Composite flooring can withstand more regular wear and tear and can be fixed much easier, which makes it especially ideal for hallway flooring and other high-traffic areas. Homeowners are starting to choose composite flooring over solid wood simply because it is more economic in terms of time and money. People in general have less time to spend treating and maintaining a floor than in the past so they want something that will take less work to keep looking nice. The choice is ultimately up to you and there are both pros and cons to both, but whichever you choose, your home will look great with new flooring.